Statements such as G.K. Chesterton’s “One may understand the cosmos, but never the ego; the self is more distant than any star” and Sigmund Freud’s “We obtain our concept of the unconscious, therefore, from the theory of repression” capture the turn-of-the-century belief that what we don’t understand about ourselves is either too complicated to perceive, or so dark, sexual and disturbing that it needs repressing. 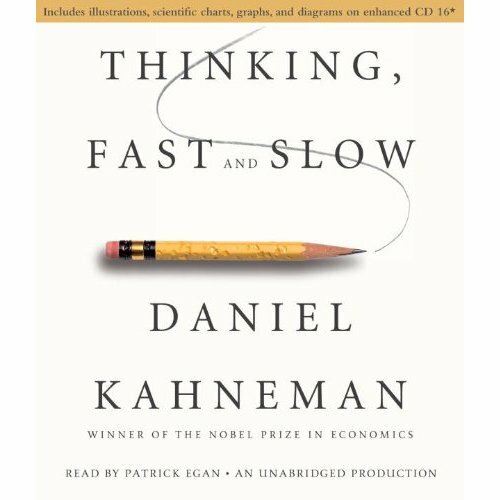 However, over time we have started to move onto the less dramatic view (nicely captured in Daniel Kahneman’s ‘Thinking, Fast and Slow’) that we operate with two distinct thinking systems; system 1 is the fast, unconscious, ’automatic’ decision maker – the “secret author” of most of our choices and decisions – and system 2 is the rational, slow-thinking, and conscious decision maker. Currently many people’s everyday perception of themselves is that of system 1, they are rational decision makers who are in control, whereas in reality we often make quick, intuitive decisions and rationalise them afterwards. In fact numerous studies have shown that we instinctively hate to put in the effort that using our rational brains requires, and consequently do so only when absolutely necessary. The use of this our unconscious and automatic brain is interesting for advertisers. While being quick, intuitive and sensitive to environmental clues, it is often flawed and open to irrational biases and interference effects. It causes a person to change their decisions without their conscious knowledge or understanding, based upon a multitude of non-apparent factors, such as the halo, framing, or anchoring effects – all of which can be created or influenced by advertising, and most of which occur on any particular customer journey. By understanding how our automatic intuitive system works, and marrying up the right fast thinking systematic flaw with the moment in a customer journey, we can begin to understand what type of message, delivered at the right time, will affect the decisions people make. This can only help our brands, and improve our ROI. Future posts will look at these two thinking systems in more detail, and uncover how advertising can effectively influence each one. This entry was posted in Uncategorized and tagged Automatic brain, Behavioural Economics, Brain science, customer journey, Neuroscience, Psychology, rational by William Hanmer-Lloyd. Bookmark the permalink.